Get your Chiller Quote right here on our website using our Chiller Genius Instaquote tool. If you have a custom chiller need, please contact Smart Family of Cooling Products For a Free Consultation @ 281-540-2805. If you require service on existing process cooling equipment, please contact us TODAY! We have a large selection of Factory Authorized parts for Smart Family cooling equipment as well as equivalent OEM replacements for other manufacturers. Visit our site today to view our inventory. This link will take you to our Membership Access Page. Each action button links to a specific membership page. You can only access the page for which you have approval. 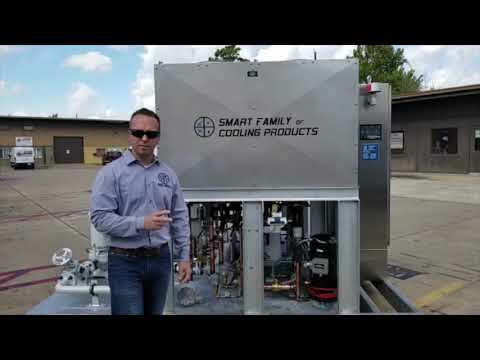 If you’re looking for industrial chiller manufacturing and maintenance, look no further than the professionals at Smart Family of Cooling Products. Smart Family of Cooling Products takes pride in our decades of experience in the HVAC and process cooling equipment field. We strive to provide you with comprehensive industry solutions that exceed your standards for quality and service before and after your sale. Not only are our products reliable and efficient, but our personalized services are the perfect solution for your business, no matter the industry. We are a leader in the field of industrial refrigeration, specializing in process chillers, low temperature chillers, explosion-proof chillers, industrial screw chillers, auxiliary equipment, industrial scroll chillers, industrial A/C equipment, and chiller maintenance. When purchasing a process cooling unit, it’s important to find the most trustworthy name in the industry. Luckily, we are accessible and flexible for all types of needs. Our team has the experience and expertise you can trust. Smart Family of Cooling Products has worked in a variety of industries since 1991, focusing on selling and providing services for cooling products. We have worked with some of the top companies today, including Exxon, Shell, Goodyear, Chevron, DuPont, GE, and Solvay. Our goal is customer satisfaction above all else, and our clients of the past have benefitted from our dedication to excellence and technical knowledge. Our cooling services are so trustworthy that the leading names in the industry have trusted our services above others. If you have any questions, please contact our team of professionals for more information. We are standing by, ready to offer your premier process cooling maintenance and services. Enhance your operations with our services, and enjoy our satisfaction guarantee! Shop through our product and service offerings to the right, and find your perfect fit. Customized low temperature chillers available down to -40F leaving fluid temp. Air Cooled and Water Cooled chillers designed for hazardous duty service. Industrial Air Cooled and Water Cooled Screw Chillers from 30 to 400 tons. Pump-Tank stations, Dry fluid coolers, Replacement coils, and additional auxiliary cooling equipment. 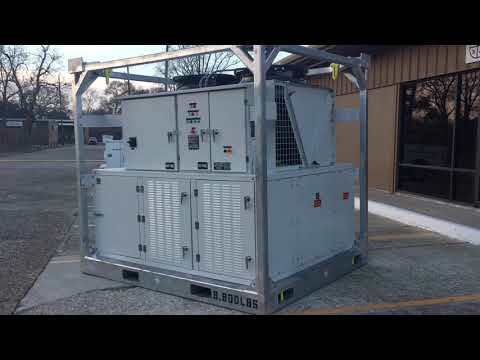 Package a/c units, air handlers, and chillers designed specifically for rental applications. Air Cooled and Water Cooled Scroll chillers from 2 to 110 tons. Package Air Cooled air conditioning equipment and air handling units for Industrial applications. Smart Family features a factory authorized service team ready to keep your cooling equipment running at peak condition.